I'm always thankful when I have an adventurous couple, and what could be more adventurous than hiking up a steep trail on a cold, windy morning at 7:15am, in a dress? I was impressed. 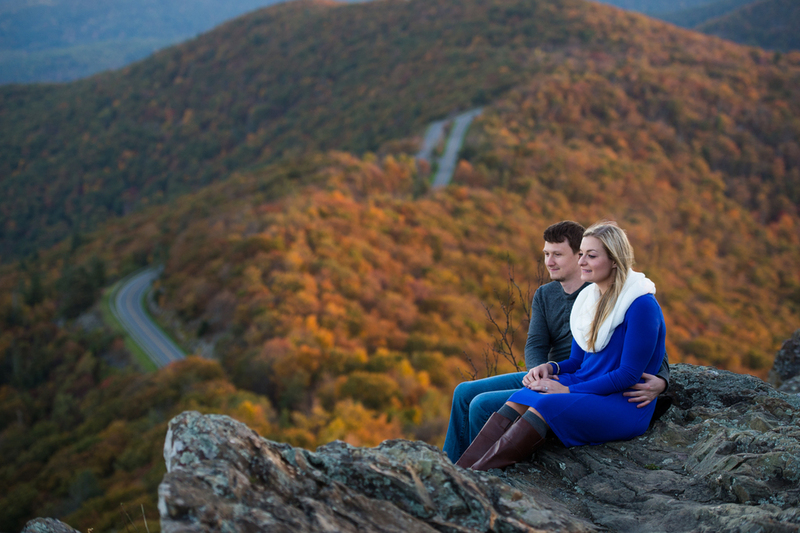 Heather and TJ had never been on Little Stony Man Mountain in the Shenandoah National Park, so it was exciting to show it to them. This is one of my top five hikes in the Northern Virginia area, simply because this incredible view is so easily accessible! 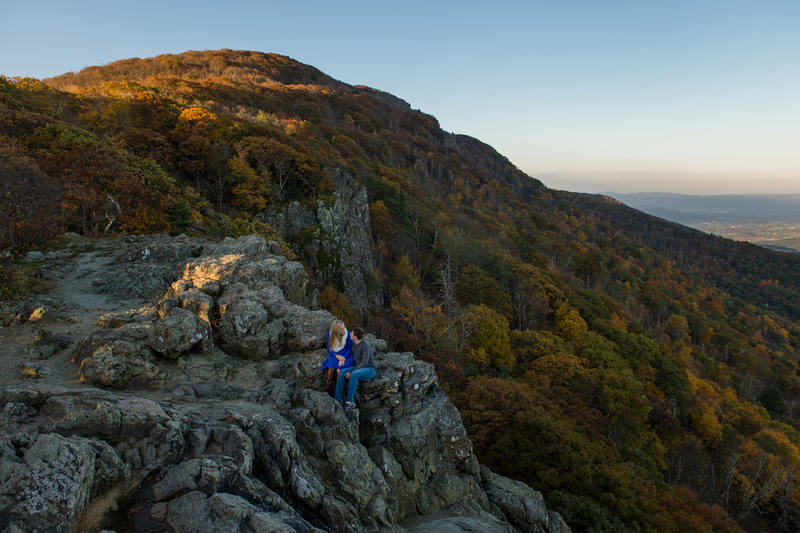 After just 15 minutes of hiking you can be standing on the edge of a rocky cliff, looking over the valley west of the Shenandoah. It is an incredible view, perfect for engagement photos. Not only was it a great view, but it was the peak of autumn color. I hope you enjoy these highlights from their session, and enjoy seeing the majesty of our created world and the fall season in particular!